Premier Food was founded in 2007. The company is part of the Terra Food group of companies (one of the main leaders in the production of dairy and meat processing products).Today Premier Food is the National leader in the segment of integrated service of catering systems and the supply of quality meat and dairy products. For ten years we have been developing and working on innovative solutions, introducing the latest technologies. We make hot dogs under TM Mr Grill for networks of all filling stations all over Ukraine (The number of service points is more than 1500).Our products can also be found in Horace channel, more than 1000 hotels, restaurants, fast food, cinemas, etc.Premier Food is offering complex compact and profitable solution for your own business: Mr. Grill franchising.In 2017, a new project was launched, the Hot Dog chain Mr.Grill - modern, in the style of a big city. Specially for there are unique recipes for hot dogs in the "fusion" format - unusual hot dogs and burgers of impeccable quality and taste.In Ukraine, our products are known and loved. And we are ready and intend to develop new markets. We already supply high-quality products to Georgia, Azerbaijan, Korea, Hong Kong, the United Arab Emirates, Jordan. 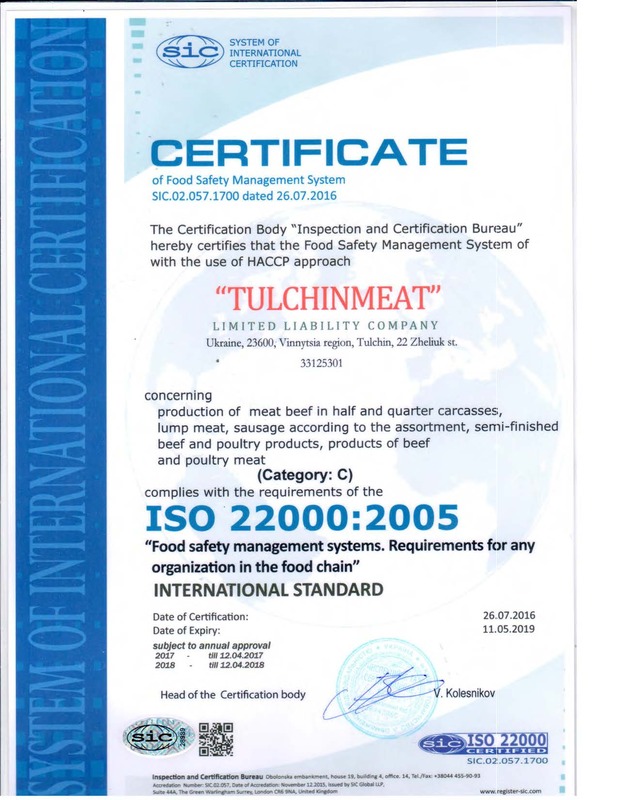 In addition, we are registering and developing the markets of other countries in Asia and Africa regions.All meat products are produced at the facilities (platform) of the Tulchinmeat plant. It has introduced the highest standards of HACCP, ISO and Halal.Premier Food also works as a technical exporter and importer for many other companies in Ukraine, mantains cooperations with local food manufacturers, producing exclusive items at other production sites. This gives us the opportunity to offer a large range of products at competitive prices and to satisfy any requirements.